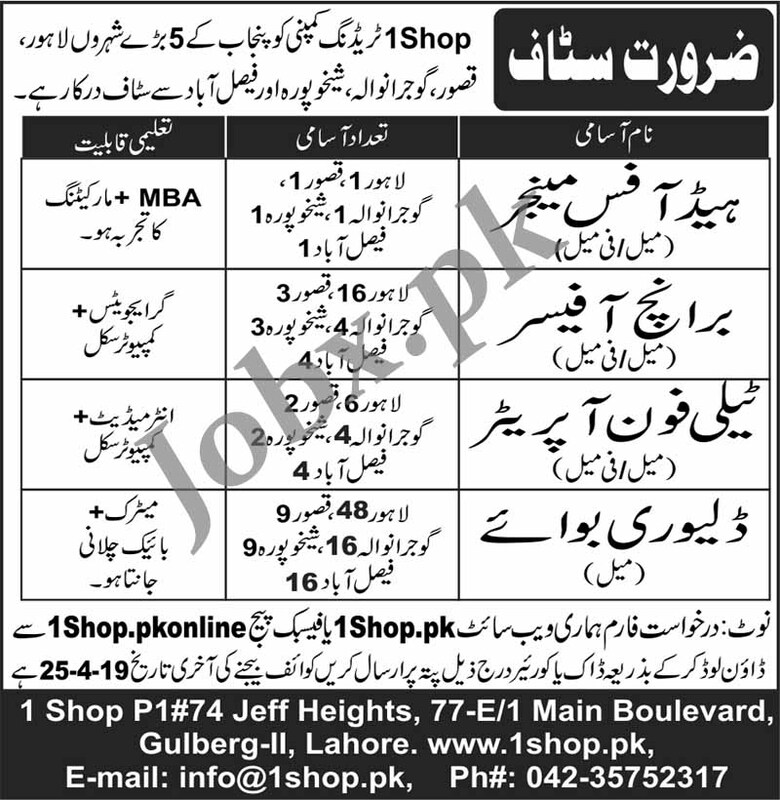 1Shop.pk trading company is looking for staff from 5 big cities of Punjab such as, Lahore, Kasur, Gujranwala, Sheikhpura, Faisalabad. Marketing MBA, Graduates, Intermediate, Matric Pass can apply for vacancies whicha re offered by 1shop trading company. To apply for this job please visit 1shop.pk.